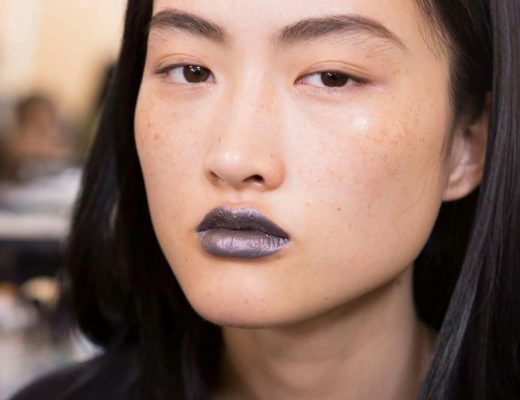 After the graphic glitter eye at S/S 2014, Jason Wu A/W 2014 opted for a softer, boyish feminine look with strong brows and lightly contoured skin. 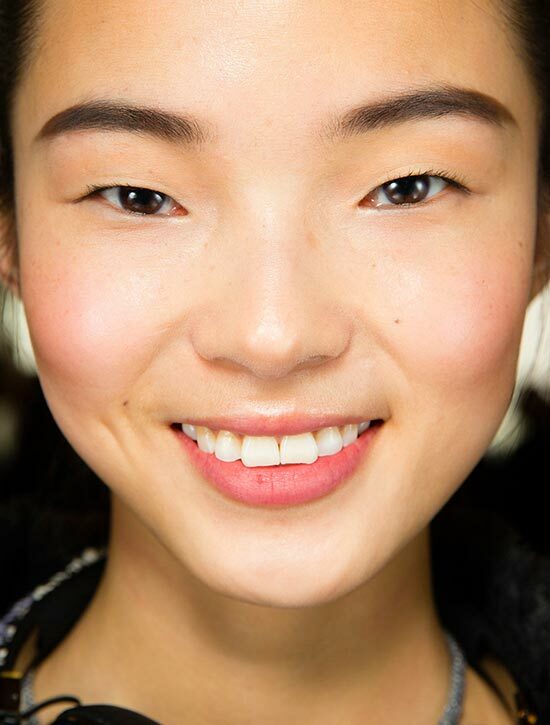 Using products from Lancome, makeup artist Diane Kendal went for an “effortless, chic” look. She started by prepping models skin with Visionaire Smoothing Skincare Instant Perfector then added Translucence Mattifying Silky Pressed Powder. Next, she contoured and highlighted the skin with Blush Subtil Palette in Rose Blush. She applied the pink shade on the apples of the cheeks, the highlighter shade on the lids and top of the cheekbones, and the bronze shade under the cheekbones and on the crease of the eye. Next, she added definition to the top lashline with Artliner 24H in Noir before curling lashes with Le Curler. 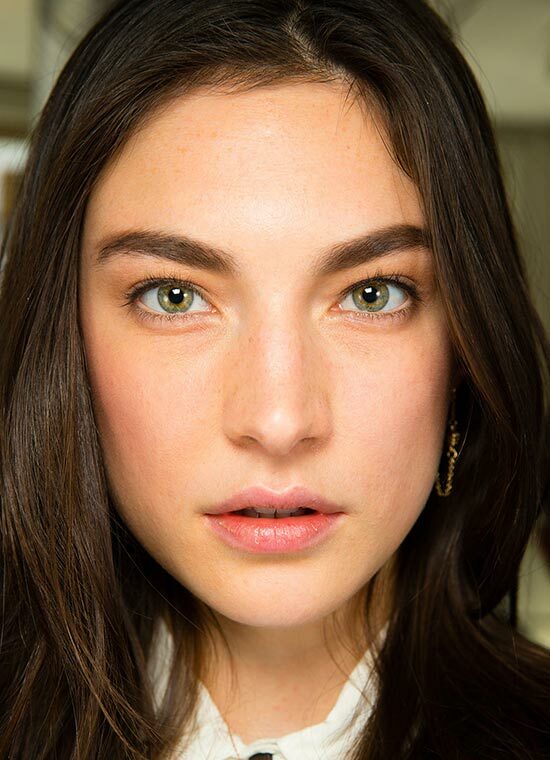 To finish the look, Kendal groomed brows with Modele Sourcils Brow Groomer in Naturel, extending them a bit to make them appear straighter and topped lips with L’Absolu Rouge La Base. Photo: Sonny Vandevelde / Indigitalimages.com.